Buy Samalla a Coffee. ko-fi.com/samalla - Ko-fi ❤️ Where creators get paid by fans, with a 'Buy Me a Coffee' button. 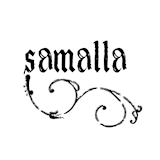 I am Liza from Samalla, a Dutch designer for Theatre, COSplay, Renfaire, LARP and mainly historical clothing. You can buy my items on www.etsy.com/shop/SamallaNL or ask for a custom order. You can follow me on Facebook and Instagram (@samallacostumes) and www.patreon.com/samalla. Thank you for visiting my Ko-Fi page! I use this page when people would like to support me, but don't want to order something. I use the income from this page to cover the costs of going to events or my own costumes. Secured Payments. Support goes to Samalla's account. Upgrade Samalla to a yearly Gold Membership with a one-time payment.